If you are a traveler from New York, Louisiana, Minnesota, New Hampshire, or American Samoa, head’s up. Travelers from those locations soon will be out of luck if they try to travel using a driver’s license as ID. According to the U.S. Department of Homeland Security, driver’s licenses from these four states and Samoa do not comply with the minimum standards of the federal Real ID system. The system was created by an act of Congress following recommendations from the 9/11 Commission that the Federal Government should “set standards of the issuance of sources of identification, such as driver’s licenses.” DHS will begin enforcing its final phase, allowing only travelers from compliant states to use their driver’s licenses as ID for domestic air travel, and cruise travel originating from the US to be implemented by the year 2016. New York and Minnesota had obtained a federal extension for implementing the Real ID system, but that extension will expire on Jan. 19, 2016. The Act requires that all state IDs issued for those persons born after Dec. 1, 1964, comply with the REAL ID system, under which the issuing state’s DMV records must include social security numbers, photographs, and home addresses of drivers. While New York does offer enhanced licenses, which the state believes makes it compliant with the law, it does not require that its residents get one. According to a story in today’s issue of Newsday, in New York, 11.5 million driver licenses are active in the state, and only 800,000—or just 6.9% of them —are enhanced versions. New Hampshire residents also face problems with the Act, as state law there does not require the DMV to store social security numbers. Meanwhile, New Hampshire law also doesn’t require a photograph to be stored at the DMV or a home address be printed on the license, two things that the Real ID law requires. In Louisiana, though the state’s House of Representatives voted to adopt federal REAL ID regulations, Gov. Bobby Jindal vetoed legislation in June, 2014, citing issues with state versus federal rights as the reason. The same problem came up when Minnesota tried to pass laws requiring REAL IDs last April. Besides the extra cost of obtaining an enhanced license, there are also privacy concerns over the Real ID requirements. Douglas Kidd, the executive director of the National Association of Airline Passengers, told Newsday that while his organization understands the need for extra security “whether the Real ID and the additional personal data associated with it actually provides any real security remains to be seen.” Debates and security concerns notwithstanding—and especially with the waiting periods for passports already getting longer—travel agents and cruise consultants and the traveling public can help themselves and their customers by reminding them that citizens from these four states who were born after Dec. 1, 1964, will soon no longer be able to board a domestic flight or cruiseship without a valid passport period. So the sooner they get in line, the better. Just thought you might like to know this and be able to share with your customers, family, and friends who might be affected by these travel restrictions. It’s a jungle out here!! Well, as if the economics in Greece weren’t already bad enough. Its Official – as of Midnight Tuesday, Greece defaulted on its multi billion dollar IMF loan, and while efforts are presently underway to restructure yet another bailout scenario for Greece, it will be an uphill battle for them for sure, having defaulted already. However, here’s the light at the end of the tunnel. Travel and Tourism to Greece, which is derived mainly from outside of Greece, appears to be, for the present pretty much unaffected, which is really good news indeed for Current and Prospective travelers to this Mediterranean Paradise! Now, while you may have heard that Grecian Nationals are being faced with Banks being closed, and ATM withdrawal limitations of no more than $60 euros, this does not effect foreign nationals who are traveling from abroad. As they are only limited by their own banks normal daily withdrawal limitations. While the recession in Greece has reached catastrophic proportions for pretty much everyone in the country, (with many businesses and services being shut down) – the travel business just might be one of the country’s brighter stars that shines. There is an natural appeal of Athens and Greece for cultural reasons and the beauty of its islands; they’re not going anywhere and the people (both foreign and national) will continue (and should) go there, and shop there. Also, there is a unique and kindred spirit between Americans and Greeks, that’s also – is not going to change either! Greece has, not only the appeal, but also the prices to continue as a major player in travel. Pricing is appealing, and while I think it may have something to do with their present situation, the fact is, that Greece offers good prices and great experiences for those who visit there, with cultural stops, restaurants and shopping being high on the popularity list. You can eat at some of the most spectacular restaurants in Santorini and Athens that are half the cost of the restaurants compared to Paris and nearby Rome. Sometimes you come across little not so well know Travel Tid-Bits, I thought that I would add this new section to my Travel Blog Site, in an effort to spread the word, and endeavor to help even more of my Travel and Cruise Readers. My first Travel Tid-Bit has to do with US Citizens travelling to Canadian Provinces. Did you know that if you have been convicted of DUI, or DWI here in the United States, that you could face being denied entry into Canada? Yes that is right. Let me explain………….Canada views any infractions of driving impaired as A FELONY, even if you were convicted of MISDEMEANOR offenses related to such statutes in the United States. One of the many things Canadian Border Agents are checking for are; Name Associations with potential terrorist watch lists, U.S No Fly Lists, as well as for FELONY travelers (which by definition are not able to enter Canada). You must also understand that the level of cooperation between Canada and US Reporting Agencies has never been better, and it is something which you definitely do not wish to be caught giving false information about, as that alone is something that can get you banned from entering Canada for 5 years, on top of having to deal with the actual reason(s) for being detained while trying to enter Canada. While you might be asked if you have ever been charged, or convicted of a CRIME you must answer truthfully. While potential travelers can request waivers for being “rehabilitated”, that is in itself a process which requires an application being submitted to the Canadian Authorities, and generally requires a period of time (at least 5 years) to have lapsed from the time of a DUI, or DWI conviction, as well as evidence that you have successfully completed a rehabilitation process, as well as being free of any further charges or convictions for such related offenses. The biggest surprise for most Americans is that they may be turned away at the Canadian border if they have any type of alcohol related offense. It does not matter if you have no intention of driving in Canada at all. The Washington State Ferry reports that during peak tourist season the Canadian border patrol in Victoria turns a half-dozen or so passengers each week for DUI / DWI offenses. It does not matter if your offense was classified as a misdemeanor or a felony by US Courts. There are no exceptions for fans, guests, officials, or anyone else entering Canada for special events. Even former U.S. President G.W. Bush had to get a special waiver to enter Canada because of his 1976 drinking-driving offense that occurred in Maine. So that should pretty much tell you EVERYONE is subject to this process. 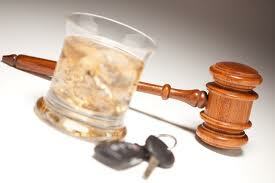 There are 2 ways to obtain permission to enter Canada despite having a DUI or DWI on your record. Your first option is to file for a Temporary Resident Permit (TRP) at a Canadian visa office or when you arrive at the border. This is how American athletes get into the country despite DUI’s or other convictions. About 10,000 TRP’s are granted every year and many are to people with less than stellar pasts. The filing fee for a TRP is around $200. A Canada Customs and Immigration officer will review the TRP and decide if you will be allowed to enter the country. The permit is then valid for up to one year. Your second option is to prove to Canada that you have been rehabilitated. If you are deemed to be rehabilitated, you will be granted lifetime access into Canada despite the offenses. A rehabilitation document does not need to be renewed. The process is somewhat complicated so you may want to have it handled by an experienced immigration lawyer. Your offense must be at least 5 years old to apply for rehabilitation. To obtain this approval you will file the Canadian rehabilitation forms with the nearest Canadian visa office. Fees range from $200 to $1,000 depending on your offense. You should expect that it will take at least 6 -12 months obtain this waiver so apply well before your intended Canadian border crossing. So, the bottom line is to know before you go – especially to Canada! Remember, do not lie or assume that a certain charge was too trivial to bring up or mention, as false statements to border authorities can land you into hot water in itself not to mention your being delayed at the border or even denied entry altogether. Wishing you happy and safe travels!!! CruisewithMike: Thanks for visiting our weblog for updated information on this and other interesting travel and cruise topics. If you would like to obtain more information on this and other topics, you can simply browse through our library of informational topics on these subjects. You can contact Mike by email at mberryhill@cruiseplanners.com or check out more details to come about this cruise opportunity at http://www.cruisewithmike.info . You can follow mike on twitter at http://www.twitter.com/cruisewithmike . Join our Travel Club at http://meetup.com/Sun-Cities-Travelers-Group/ Mikes web site can be found at http://cruisewithmike.net . March 1st, marks a very critical U.S. Federal government budget deadline that is fast approaching. If no action is taken by the U.S. Congress and President to avert a forced shutdown, then $85 billion in spending must be cut immediately. Various federal agencies are warning that this will dramatically cut the number of air traffic controllers, Transportation Security Administration (TSA) personnel at airport security and Customs and Border Protection (CBP) personnel, many of whom would be furloughed from their respective operations. In turn, furloughed air traffic controllers could mean a sharp reduction in the number of airline flights allowed to depart with a significant number being canceled. 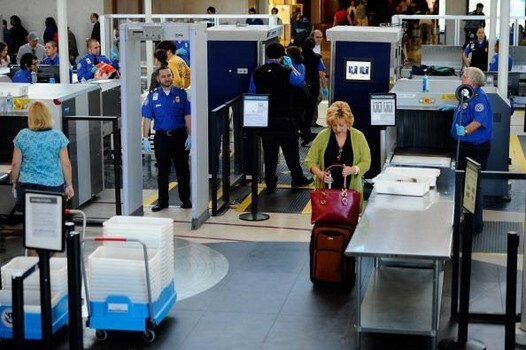 Furloughed TSA personnel could mean substantially longer lines at airport screening. Furloughed CBP personnel could mean very long lines at customs. According to U.S. Transportation Secretary Roy LaHood who has indicated that the furloughs and facility shut-downs referenced in the statement below will not occur until April. “Because of the severe impact the sequestration could have on travel – potentially resulting canceled flights, as well as longer wait times for travelers both at airport security and customs check points” it is due to this and other statements from government officials which is why I am communicating these concerns here. It is imperative that you closely monitor flight schedules and airport wait times. You should also allow for extra time not only when checking in for your flights, but also while passing through security screening and when boarding”. If all slows to a crawl wait times for the entire process could easily exceed 3+ hours, especially at larger metropolitan airports. If you have booked your travel plans through a travel agent or cruise planner you should be in close contact with them, so they can be ready to assist you, should your travel plans become disrupted. CruisewithMike: Thanks for visiting our weblog for updated information on this and other interesting travel and cruise topics. If you would like to obtain more information on this and other topics, you can simply browse through our library of informational topics on these subjects. You can contact Mike by email at mberryhill@cruiseholidays.com or check out more details to come about this cruise opportunity at http://www.cruisewithmike.info . You can follow mike on twitter at http://www.twitter.com/cruisewithmike . Join our Travel Club at http://meetup.com/Sun-Cities-Travelers-Group/ Mikes web site can be found at http://cruisewithmike.info . “Houston we have a problem” can also now be a hailing sign for Carnival Cruise Lines, especially to those in the Texas port of Galveston. 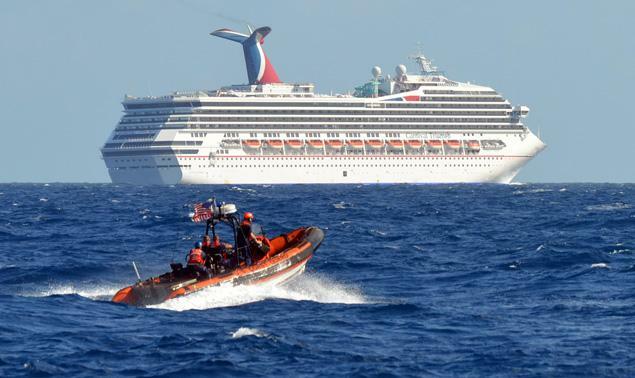 As the Carnival Cruise ship Triumph (which set sail Feb 7th, and was due back on the 11th to and from its home portage of Galveston) flounders off the Mexican coast, adrift after a reported engine room fire crippled the ship early on Sunday leaving 3,143 passengers stranded without power, air conditioning, and running water. It has even been reported to several news agencies and to and from loved ones on-board the stricken ship, of backed up sewage running down walls, and urine soaked carpets in the staterooms have forced passengers to vacate their staterooms, not to mention the horrid foul stench that has engulfed the ship. Despite relief efforts with food and supplies being brought to the ship, there are also reports of waiting in lines four hours long, just to get a hamburger, and there are even reports of fights breaking out on-board over food, and passengers acting like savages. I am sorry, but it is seems clear to me for the need to speak out about this the third such incident to occur to Carnival passengers in only the last few years. Certainly most everyone remembers the November 2010 engine room fire aboard the Carnival Splendor which was adrift for several days off the coast of Mexico, then less than a year ago was the Carnival owned Costa Allegra which similarly was adrift in the Indian Ocean after an engine room fire had occurred. As a travel insider I was just reading last week where Carnival was experiencing record level bookings, which that alone was laudable certainly in just the connection to the most horrible incident in January of 2012 of the Costa Concordia capsizing accident which resulted in more than 30 lives lost, and again such cruise line is actually owned by Carnival. It seems blazingly apparent to me that Carnival is placing profits over passenger safety and comfort. There are only so many reasons that a fire (one of the most dangerous hazards at sea) really occurs. Whether the findings are faulty (or outdated) equipment, failure to have adequate training (or a lack of proper response)in engine room operations, or a failure of adequate supervision or insight; Carnival has dropped the ball when it comes to doing everything necessary to operate safe and efficient ships. Initially with respect to this most recent incident Carnival is saying the cause was a fuel line leak in the No.6 generator. Wonder when that fuel line was last worked on or replaced? 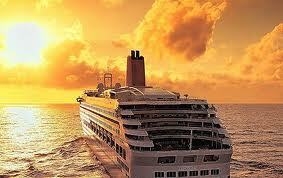 I have booked clients on Carnival owned cruise ships for many years, even groups in the past. However, I can no longer in good conscience subject my customers to such inconvenience and even potential harmful experiences. I think it is time for my fellow colleagues and the American Cruising public alike to draw a line in the sand when it comes to what Carnival is doing. It’s time we start speaking out. In light of so many of these ships that are getting older, why isn’t more attention given to equipment condition and passenger safety. Each time one of these incidents has happened, (including with this most recent event) they (Carnival) have promised to rectify the deficiencies and learn from them, but that is obviously just not the case. It seems that Carnival must be doing something differently than the other cruise lines to be running into so much misfortune. These older ships need longer off times to be sure that safety inspections are thorough enough and are being taken more seriously. CruisewithMike: Thanks for visiting our weblog for updated information on this and other interesting travel and cruise topics. If you would like to obtain more information on this and other topics, you can simply browse through our library of informational topics on these subjects. You can contact Mike at email cruisewithmike@cruiseholidays.com or check out more details to come about this cruise opportunity at http://www.cruisewithmike.info . You can follow mike on twitter at http://www.twitter.com/cruisewithmike . Join our Travel Club at http://meetup.com/Sun-Cities-Travelers-Group/ Mikes web site can be found at www.mberryhill.cruiseholidays.com . While it is customary that Hurricane Season brings a number of storms every year, and while the cruise lines remain continually poised to make necessary changes, as most hurricanes are tightly-knit, slow-moving storms with somewhat predictable paths, making them fairly easy to avoid or divert around in most cases. Meaning usually at most, the cruise passenger may end up with a slightly modified itinerary than expected, but one that is as safe, and relatively calm as any other typical cruise. But Sandy has been a particular challenge for the cruise lines primarily due to its hugging the coastline course, and while churning along passed the coastal East Coast Port cities like Miami, Ft. Lauderdale, and Port Canaveral in Florida, Charleston, S.C., Baltimore, Md. and New York City. Sandy was also an unusually large storm, encompassing a path of several hundreds of miles in size, while picking up nearby storm systems which added to the severe after-effect impact. As we all know now, the hurricane was itself only part of the story. The surge of seawater which followed the storm and floods to low lying coastal areas; carrying away sand and tearing down structures which also occurred. Another factor with Sandy is the thousands of flights that were canceled in anticipation of the storm. 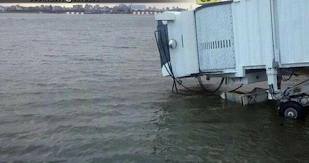 (check out the standing water at LGA’s jetways left) Most likely many cruise passengers missed their ships due to last minute flight cancellations which numbered more than 20,000 in all. It stands to reason that this will also create some delays in getting some of those stranded folks out as airport operations are expected to slowly return to normal beginning on Halloween Wednesday, with only some airports operating. Those located in hardest hit New Jersey, and the New York City area airports may take longer to get back to normal operations. Unfortunately, if your cruise becomes affected by a hurricane in any way you are rather at the mercy of the cruise line. You do not have any right to cancel the cruise or demand a refund. Your only option is to have purchased “cancel for any reason” trip insurance when you book the cruise. 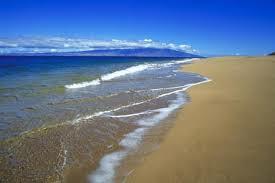 (which in many cases can be purchased for about a forty percent increase in your policy costs). Generally, traditional trip (travel) insurance probably will not cover your hurricane canceled cruise since it falls under the “acts of God” category. 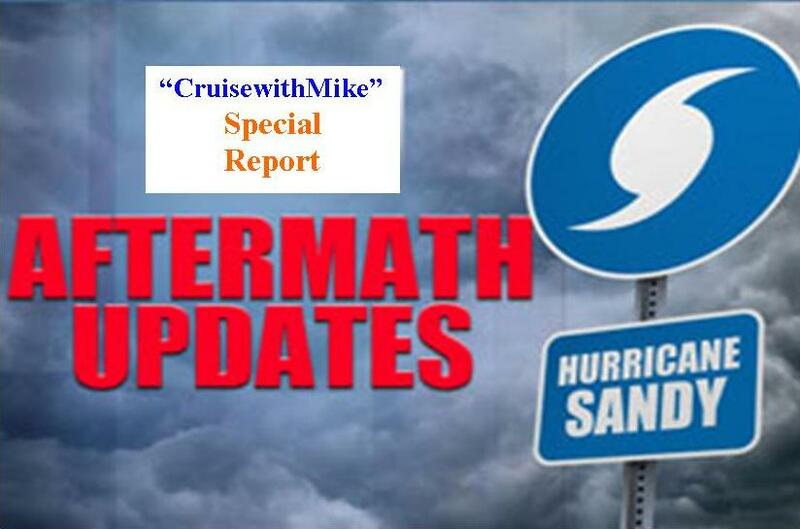 Sandy resulted in a relatively few number of Cruise Cancellations on the part of the cruise lines, and only a few Sailings which were actually delayed,(mostly by pushing the departure dates back by a day or less). However, there were a multitude of cruise ship Reroutes, and Scheduled Port Changes as a direct result of Hurricane Sandy. In many cases where sailings are cut short, the cruise lines will offer some form of compensation to cruise goers to make up for their shortened sailings. Unlike most hurricanes that affect the cruise lines, Sandy left behind a list of Damage to both Ships, as well as private island paradises that are owned by the cruise lines. The 4,000 Passengers aboard Disney’s newest cruise ship the “Fantasy”, were tossed about a good deal resulting in mainly damage to Interior areas including the Pool area, Gift Shops, Cafes and various other venues. 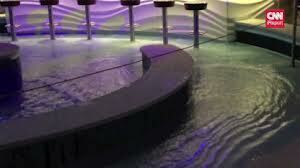 The pool area also overflowed causing some water damage to those areas in and around the pools areas. Meanwhile, a call at “Castaway Cay” which is Disney’s private island paradise by sister ship Disney “Dream” was postponed a day so that crews could clear away debris left by the storm, Peddie says. The private Bahamas island is Disney’s most popular port of call. 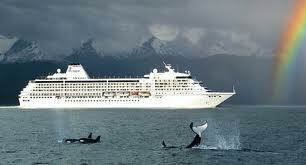 P & O’s 3,000 passenger ship the “Ventura” sustained a gash in her hull located near the pool deck. It has been reported by passengers onboard P&O Cruise’s Ventura, that the ship has been seriously damaged from rough weather while crossing through the Bay of Biscay in advance of Hurricane Sandy’s moving through the south Florida area. 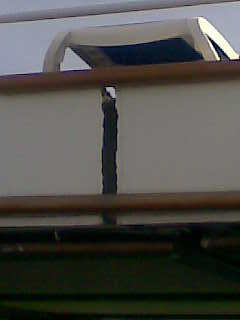 It is reported that a large crack, about 2 inches wide, has appeared on one of the upper exterior decks. Passengers from the ship are reporting that the crack runs the entire horizontal length of the deck and vertical to the deck below. Windows on the deck below have been shattered from the crack. Passengers are reportedly being sectioned off from this area near the Laguna Pool of the ship while passengers who have private balcony cabins on Deck 14 below are being ordered not to use their balconies. A P&O spokesperson has confirmed that ”repairs will be made to the aluminum deck on Ventura upon arrival its in Southampton. This has no structural strength or safety implications, and is not expected to delay its next scheduled sailing. Several cruise lines have their own “private islands” which they use to give passengers a day at the beach without any distractions. Almost all of the private islands are small Bahamian Cays that offer anywhere from remote sparsely tree lined beaches to quite elaborately furnished activity areas that are generally very popular with cruisers. Hardest hit appears to be that of Princess Cruise Line’s “Princess Cays,” which is actually a private beach resort on the Bahamian island of Elute, 50 miles east of Nassau. According to PCL “Princess Cays has experienced extensive beach erosion, some downed trees and roof damage. The end of the observation pier was also lost,” according to company spokesperson Karen Candy who said that clean up will begin as soon as conditions allow. The next scheduled call there is not due to take place now, until November 11. Norwegian Cruise Line is reporting that its “Great Stirrup Cay” sustained some minor damage to structures and landscaping, as well as beach erosion. The island, which had just completed a $30-million upgrade, has been closed down temporarily for quick repairs but the line expects it to reopen in the first week of November. Unfortunately, stops there by three Norwegian ships had to be canceled: Norwegian Jewel, Norwegian Sky and Norwegian Pearl. Fortunately, most of the improvements which were made during the recent upgrade were unaffected. Holland America’s private island, “Half Moon Cay”, which is located about 100 miles southeast of Nassau and are often visited by ships of sister cruise line Carnival. According to HAL, the island “sustained some minor damage,” including to a few permanent structures as well as beach erosion and uprooting of some vegetation. Holland America expects to make repairs quickly with only minimal impact to normal operations. Royal Caribbean, cancelled two stops at its private island “Coco Cay”. While no real damage is being reported by RCCL, the island was expected to be reopened to ships today.